The Saints second to last regular season homestand at CHS Field in 2015 started Tuesday, August 18th. The Sioux City Explorers came to town for a three game showdown between the league’s top two teams, followed by another three game set against the Sioux Falls Canaries. We saw some great baseball, some wet baseball, and had tons of fun as usual. In the first series, the local nine jumped all over the Explorers thanks to a couple of great pitching performances. Kramer Sneed tossed eight shutout innings in a 2-0 win in the opener, allowing only four hits while striking out three. The second game saw Jeff Shields go seven strong with only one run crossing the plate in the team's 6-1 victory. He also added four strikeouts in the contest. In the last game of the series, the Saints extra-inning woes continued as they fell to 2-4 in games that have made it to at least the 11th inning. The reason the 11th inning is the benchmark here is because that's when the International extra inning rule comes into play. The rule reads that each team begins with a player on second base starting each inning from the 11th on. The runner is the last out from the previous inning. The rest of the at-bat is then played like normal. The reasoning behind the gimmicky rule is solid: rosters are only 22 players in the American Association and bullpens are at a premium and can be killed by a 15 inning game. I myself do not like this current rule, or at least this version of it. I believe if kept, the rule needs to be changed to a runner starting on first not second. At least this way the pitching team has a shot at a double play without having to walk an extra base runner. Either way it doesn't feel right. But I understand - if they fix it. The results of the second half of the homestand didn't turn out the way the Saints would have liked. For the first time all season the St. Paul nine lost a series at CHS Field. After winning the first game 5-2 behind a complete game effort from starter Robert Coe (9IP, 3H, 2ER, 7K), the Saints lost the final two games, dropping the series 2-1. My MVP for the 'stand is the Tarp Crew. I don't think most people realize how dangerous a job it really is. When the wind picks up the tarp can throw just about anyone, no matter your size, around like a rag doll. During this home stand everyone with the Saints pitched in and deserves a round of applause. From the GM to interns, all available staff, and even a few players, helped out. Well done everyone. Also during the last homestand, two more Saints records were broken. First, Saints manager George Tsamis set his own single season win total with 63 by winning the opening game of the Explorers series. The previous best of 62 came in 2002 when he managed the New Jersey Jackals. Second, we once again set an all-time single game attendance record with 10,430 for Thursday night's series finale versus Sioux City. An entertainment highlight from the 'stand was when all the Ushertainers on hand for Sunday's game (Nerd, Nerdette, Coach, Miss Adventure, and Chef Sharte) had an epic dance party on the field in front of the Saints dugout between innings. Each character had his or her own moment to show off, with the party culminating with everyone dancing together. Even though I've seen it a ton of times, I still think Nerd doing The Worm is the best there is. This homestand we picked the seats directly behind home plate for the last couple of innings of Wednesday's day game. The ballpark emptied out pretty quick after a couple short misty rains and seats were aplenty for those of us that remained. I don't believe I have even ever sat in the equivalent of these at any professional game before. Wow, what a view! Especially at CHS Field where the seats are at field level. After the six straight in St. Paul, the Saints hit the road for three games in Wichita against the Wingnuts. Then they traveled to Kansas City for a four game set with the T-Bones. The road trip was a success as the Saints were able to set up their rotation for the playoffs and also win four of the seven games in the process. Heading into Monday's off day the team now has a 68-25 record, second only to the Sioux City Explorers 69-23 mark. Also on the trip, the Saints became the second team in American Association history to have four pitchers with ten or more wins in a season. Robert Coe joined Dustin Crenshaw, Kramer Sneed and Jeff Shields with double digit victories on the year. The next and final regular season homestand begins today, Tuesday, Sept 1st, when the Gary Southshore Railcats come to town for four games. Three more versus the New Jersey Jackals follow to finish out the schedule. As the regular season comes to a close we look forward to one of the best nights of the year, Fan Appreciation Night. The Saints always go all out with giveaways, contests, a post-game monster food truck rally, and a fireworks super show. I have a feeling Sunday is going to be a fun day. This blog entry was originally posted on Saints Train. The mission of Twins Daily is to develop independent writers, so if you would like to try your hand at writing, you can start your own blog at Twins Daily. The best blog posts are promoted to the front page where thousands of Twins fans stop by every day. Or, if you already have an independent Twins blog, double-post your Twins story on your blog here with links back to your blog so our readers can find you. Other upcoming promotions include, the 5th Annual Zombie Crawl (Sept. 1st), German Night (Sept. 3rd), and a Salute to Fictional Princesses (Sept. 5th). Tickets are limited but remember you can always head to the box office on game day and pick up some berm tickets (make sure you get there early they go fast). And also don't forget first round playoff tickets are on sale now. The first game at CHS Field is Saturday, September 12th versus the Sioux City Explorers. Click here to join the fun. What are your thoughts on how the AA runs the playoffs? Saints have to play Sioux City in the first round - they are the top 2 seeds by far but the Saints told me seedings are based on geography not record. To top it off, the Saints are given home field advantage even though Sioux City has a better record as of today by two games. These two decisions seem to be motivated by $ - less travel costs and larger attendance- despite logic and fairness. To me it underscores that you go to Saints games to have fun and enjoy the atmosphere with serious baseball watching an afterthought. While I don't love the way the playoffs are set up, I can understand it. And you are correct it is about the almighty $. But if keeping it geographical keeps my ticket prices lower, I guess I can live with it. It would be better to have a chance for the two best teams play for the Championship, not in the first round. But it isn't even a guarantee they would both make it. As we've seen in short series in every sport, the better team can have a couple off games and never make as far as their supposed to. So, for this year, I look at it as at least we get to see the two best teams play each other in the playoffs regardless of the round. Also, from what I've been told, the agreement for the Saints to have home field advantage in the series was reached mutually between the two teams. 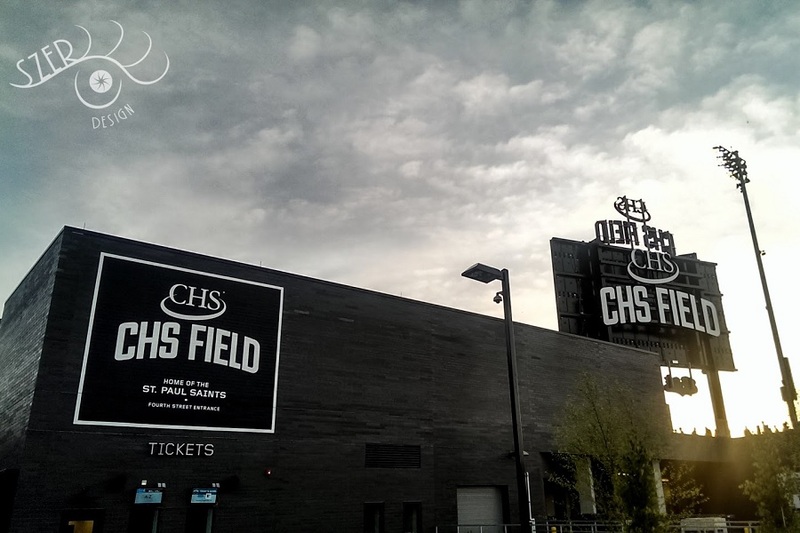 Sioux Falls requested the first two games at home and the Saints requested the last three at CHS Field. Seems like it kind of defeats the purpose though if you have the home field advantage but the first two games of a five game series are on the road. I hope the Saints win tomorrow because I am supposed to go to the game on Sunday and it looks like it's going to be a beautiful day!